Coming is an unofficial fangame, singleplayer adaptation by me of VEGA Conflict, with different mechanics, new factions, a complete rework of battling, equipment and a new story. Disclaimer: This is in no way a method of profit or revenue in any way. It is but a fan made game using many of the resources of art and concepts provided by VEGA Conflict and their developers, team and Kixeye. Iron Star Company (ISC) is now divided into four divisions. All factions are now divided into Divisions rather than factions, and are now equivalent to eachother. For example, VEGA Federation hulls now are as good as XENO hulls depending on the situation. Battles are turn based. To make up for this, dodging is calculated with a new base Evasion stat, and each weapon has an accuracy. Ships permanently disappear when destroyed. Both VEGA and ISC are factions that have reputation values, allowing you to gain benefits from being on one or the others side. There are no benefits from having a bad reputation with both, aside from challenging yourself. You can have multiple Carriers in a fleet, but in turn Carriers are much more support and less DPS oriented. Ore is now a universal currency (for now). Shields no longer have resistances to I types of weapons. In turn, in order to make up for lack of said resistance, Resistors and resistance armor make more of an impact and are more available throughout the game. Shields also no longer recharge at the end of a battle (may be subject to change). It makes rechargable shields more usable. A new ship class named the Freighter, and a Ship X in each faction. Maneuvers are now an action in battle. Frigates and Cutters should be able to take the most advantage of these set of skills. "Without despair, hope can never exist. And it never should have been." I would if I could. Unfortunately, turned based in this context means turn based JRPG-style battles, as it is more difficult solo to create and implement features into a game, and it works as well if not better than other styles of turn based combat. Progress has been delayed temporarily on this game for a couple of days due to personal reasons. The tutorial has been finished. This tutorial only lays down the basics of equips, battles and other such things. This step also includes a quiz in which you will be given your first Blueprint of either Iron Star or VEGA technology before being sent out into the void. There will be four types of maps. Open Sections: Most battles are randomized and encountered on the overworld while flying. Structures, stars, shops, and other things are available on these types of maps. Guard fleets and some other types of fleets are the only non-random encounter fleets available. You can find subquests in these maps to perform for rewards and/or reputation, which helps you also gain access to new Main Missions. Story sections: These maps are part of chapter and story progression. They have to be done in order to advance your ability to build new factions of hulls, as well as to unlock new missions. Story based missions give significantly more rewards than Main missions, while Main missions give more than subquests. Battles are pre-determined by enemies on the map, red fleet icons. Some chase you when you get close, some fly in a set pattern. Structures and repair bays will be found in these types of maps. Infiltration Sections: Enemies are found in high amounts on these maps. These maps are randomized encounters ONLY, which means you don't know what you will be facing until you're actually facing them. Blueprints are found this way the easiest, however, you cannot repair or build new ships in this mode. You may only carry around the amount of ships you bring into your fleet, and the map progresses like a dungeon crawler. Saving is disabled in this map, and once you're out of ships, it is game over and you must start over from your last save before entering these types of maps. Alien Siege/Decimation sections: Alien fleets with far superior technology compared to anything humans have created will infiltrate the map and attack. Your job is to survive the onslaught, by avoiding their spawning fleets and bringing a proper fleet of ships to take them on. These maps maintain the same rules of the Infiltration Sections. It is the only way you are able to gain access to Alien technology blueprints. Factories can be used to build ships if you have the proper resources and the blueprint build it, as well as the faction mission to go along with your hull. Icons for each weapon implemented. Icons for each Weapon skill updated to represent the corresponding weapon. Shields changed to act more like traditional Resistor technology. I'm guessing this is iOS only? PC only. It isn't going to have amazing graphics though as this is a side project at the moment and not all my effort is being directed into it. Aw ok, when you get it up and running properly any chance you could have a crack at a mobile version? Me and Centurion will look onto mobile release after our testings succeed. Mobile version probably will have another game engine due to limitations and you most likely are going to see Android version before iOS. • Special pilots that pilot a specific ship are unlockable. Only that individual ship and pilot is usable in your fleet; in other words there is no possibility to clone/build multiples of that ship/pilot. They are still able to die along with their ships but are re-obtainable once you lose them through in game currency. • Four damage types indicate a ships total amount of damage output when using the weapon type that goes along with it. Example: Dread has 300 EXDMG and 250 ENDMG. Dread will use the 300 EXDMG stat to calculate energy damage, while it uses the 250. • All basic T1-5 (Common to Legendary) technology are currently , each specialized to be unique or give different bonuses but not better than one another. All these technology pieces now will have variants that range from Common, Uncommon, Rare and Legendary. Variants will each have a manufacturer that determines what bonuses and drawbacks they might have. • Starting ship is now a customizable, fleet-locked experimental Flagship that is highly balanced. • Carriers are normal ships, and can have multiple instances of them in one fleet. However, that comes with the cost of direct power of Carriers. They are now the true Support class, being able to launch Squadrons that either damage or effect enemy hulls, and Support Drive abilities that can effect any ship(s) in combat negatively or positively depending on the Drive. • Beam Drives direct high concentration fields of ion particles that allow a single ship to recieve a buff/nerf of stats. This is best used when fighting a boss ship or fleets with Offense flagships. • Field Drives spread the ion particles all around the ship when activated, making all ships within both its field and parameters of effecting receive less concentrated buffs or nerfs. This is best used when fighting swarms of enemies. • At the moment, all Enemies can have at most one flagship in their fleets. Flagships are classified as heavy weight, high priority targets that buff/nerf ships around it, and give a good reason to take it down first, as the longer they are alive, the tougher the battle gets. Turrets/Hives are technically classified as Flagships. Immobile fleets can break the rules of having turrets in them but maintain not having more than Turret in a fleet, while Alien Defense targets can break both rules with the Hives and it's children variants. • New Mutiny Cruiser is Ship X of ISC. • Legion Battleship maintains it's status as Ship X of the Demon Corps. • New Heavyweight V Class Miner, completely new non-combat class and Ship X. Allows for very high amounts of resource mining compared to its lesser counterparts. Where the hell do I download this? I Wanna play! It will be taking at the least two to three more months once things start rolling. Right @Flare Rorsche and I are mostly working out concept and balance flaws, plot points, and working to add in as much as we can every day, but we also are distracted by every day life to the point that sometimes we don't put our full attention into the project. Just reply to this post your ideas and we will make sure to take in any non-troll feedback. Extensive delay has been declared. Progress on this game will be postponed until certain things are sorted out. can we please some screenshots of what you have been working on? Plan for a game demo soon! It'll showcase basic functions of the turn based battle systems, techology, equipment, enemy ships (original prototype designs) and more. Unfortunately it'll be for PC only, though​. This is the only platform the game engine is designed for. _-_Titanium Brigade, a faction forged upon justice and balance, emerging from the ruins of the Induktii Government this is the main Faction that you will be allied to throughout the game. - Vagabond Corporation, a faction of traders, merchants and factory owners. They are the biggest corporate power in the game and run legal markets throughout the sectors. - Flare Infinite, a collaboration effort between Vagabond Corporation and Titanium Brigade, this Faction focuses more on police traction and researching. These alliances are erratic, unstable and unable to make peace with the IPC on most occasions. With Cerberus Corps as their lead alliance, they oppose the IPC without mercy. These alliances do not have military ship or technology regulations and thus are unpredictable. - Cerberus Corps, a militarily inclined remnant of space pirates from the glory days of the Induktii government, although space pirates are scattered and often unorganized, Cerberus is the most solid, to the point that it is now considered a faction of it's own, not to mention the threats they pose onto the IPC. - Holy Rebellion, an alliance who's idealogy had once thought to died out, had reemerged from the ashes of it's once great empire. Condemning the use of advanced technology, their technology seems to be crude yet effective, achieving the same effects that other factions have in their technology. _-_Catalyst-Omega, one of the more extreme parts of the long fallen Induktii Government, this alliance has little regard of human life or resources exhausted, as long as their technological advances are proven. - Xenox, not much is known about this faction aside from what is known from ancient audio logs describing their dormancy deep within the center of the Galaxy. Thought to only be easily accessible through special wormhole technology, no one has ever dared to look for them once again, for everyone that has after the initial exploration, has never returned. • All technology is in the process of being completely redesigned. • All ships are being scrapped for new ships with new names and original art. Miners, utility ship. Not restricted to mining. • Rarity for each technology goes from 1-4; Common, Uncommon, Rare, Epic. • Variants for each piece of technology will be made. Most pieces of equipment will have a durability value out of the max, that is damaged when the ship is successfully attacked during battle. Each skill linked to weapons or other offensive pieces of technology have a durability damage that has a (currently) 50% chance of dealing damage to modules on a ship. Each module is calculated individually, making it possible for you to either take no damage to your modules in a turn against an attack, or take damage to all of your modules against an attack. This is all based on luck. When one of your pieces of equipment goes down to a durability of 0, it will be converted to Scrap, which can be then used for crafting. If your equipment is still intact, you may repair your technology for resources. It still takes inspiration from it all. But limiting what I do to the original parts of VEGA also limits my idea processes. The progress on this game will go significantly faster with a clean slate. Believe me though, it was a tough decision to call whether to scrap the original parts or not. If I did it'd not be a VEGA fangame but more of a VEGA spiritual successor in a different format of playing. However, this means everything that comes will be more original. Why dont you split the game into two copies and work on two Different projects? Because the main project is already something that takes time. But it'd either be a shorter game or less features invested into it. Or even just a modded version of the original game that makes everything VEGA themed. My main priority is getting everything on the main project done, then I'll maybe do something involving a VEGA themed game. kixeye could learn from this whats a truely rebalanced game is,can you post some piics? Can I use this picture as my signiture? I love it. also great ideas with the fangame. Well, when i first saw xeno division in game, i got an idea that i were thinking about for some time. I hope you will get something useful from this for your project. So, after alien incursion and soon after we get our first xeno hull (for example, cruiser), our fleet in sector that have at least one xeno division hull are being trapped and attacked by fleets that seems to be coming from nowhere. They just appear near our fleets and engaging, and due to ability of some big ship of their to disrupt our communicatons so we cannot control our fleet for some periods of battle we are being quickly exterminated. After battle this fleets retreats back to where they come from - we don't know where, they just dissapear. Sybil suggests that we should take out one of their fleets to understand what's they up to, but when we do so, we're being contacted by someone in uniform unlike any other we've seen, and he says something like: "We do not care about your skirmish with VEGA federation, but cooperation with aliens is an act of national treason and will be regarded accordingly. Glory to the humankind" (last part will be repeated in all his transmissions). After that we suddenly discover this new faction groups attacking not only xeno division fleets, but also aliens, and we can take part in this battles and help them overcome their enemies. And after some more time we get event with choosing side option. This choosing side will be for some long time. We can be allies with General Gier, who's commanding Xeno Division, or with this misterious officer. In first case that will be much same as events were going in game, but also we'll need to seek and destroy this mysterious fleets and patrols (there's a problem - after each few killed this way fleets a siege group will attack our base without warning, and because of their superior tech they will crush it almost every time), but in second case we will be helping those mysterious strikers to get rid of aliens, and suddenly officer that contacted us before will reveal himself to us. He's admiral of the Earth goverment (name it as you wish) and he's in charge of Pacification Fleet sent to this sector to deal with Alien threat and remove Vega current leadership because of their separate alliance with Aliens. He considers Xeno Division as part of Alien forces, despite their actions agains Aliens, and he suggesting us to help his forces to deal with Vega and Aliens and to surrender to him all our Xeno Division tech in exchange for his support with all consequences - new Earth tech, hulls, you name it. On his side we will be helping Pacification Siege Groups to eliminate Alien bases, Patrol Groups to survive Xeno Division attacks, and again you name it. Also, this faction is oriented on usage of shields and long-range combat with evasive manuvers and minimal damage from enemy. If you wish for some details on ships, tech, etc., i can provide some ideas. It is a shame that it was such a long pause although something like that is expected from similar projects. Will it still take few months to get finished? Yes, but it depends on how available I am to work on it for the next few months. Lately I have been very hard on working on it again, but it can always change in the future. I am not, however, dropping this project. It's too important to me to drop and even it takes a year I'm going to get it done and release it. But the way it is being developed is different now. Still RPG Maker but we switched to RPG Maker MV, which can be ported to mobile and worked on much easier. The way it's going to work is that I am going to, at a certain point, release test builds of the game in which players can test the current factions, tech, stats etc. in a sandbox-like playzone. Each update will introduce new factions, tech, balance updates and other such things you'd expect. Armor value is now a new stat, acting as a traditional "defense" stat calculated when using skills. It's given by the Mainframe, Armor and other various equipment slots available. WEAPONS equipped will usually decrease the total ship-wide charge rate of making actions. This balances certain weapons, which will be explained in an actual update of the game. Corvette- Lightweight hull. Originally made for civilian use, it boasts very fast firing systems( made for support) and can be disruptive in battle. Destroyer- Third-class lightweight hull, just above the Frigate. It isn't very maneuverable nor usually well armored but is a tactical weapon carrier. Has increased weapon accuracy and usually relies on its weapons and good weapon speed. Cutter- Very fast firing systems. Trades off all evasion for an appetite for weapons, armor, and very fast weapon systems. Cruiser- Mostly balanced all-around hulls that can fill almost any task it's set upon. The ideal balanced cruiser has a balance between health, armor, weapons, weapon speed, evasion and all other factors. Cruisers, however, excell in their usage of shields, as they are usually equippable with 2 by Mark 5, making their hidden best usage as a defensive threat. Battleship- A step up from the Cruiser, these ships favor the concept of both a good defense and offense, doubling down on weapons, armor, munitions and crews. But because of this, both its evasion and weapon speed is severely hindered, making it a class that usually fires last but packs the most punch and can outlive opponents. Operat- Support class ships that are capable of carrying Aura fields to effect allies or enemies. This ship class was designed with the splitting of the traditional Carrier Flagship class in mind. Battlecruisers- in some instances, there is a need to, rather than approach your enemy with a fortress stocked to the brim of weapons, you must compromise. 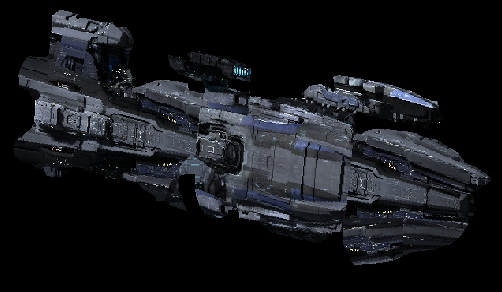 The Battlecruiser is similar to the Battleship, but takes some of the extreme elements from the Battleship and makes them less so in return for replacing the extremities in the place of Armor. Therefore, the policy for Battlecruisers are pure armored, mildly armed ships. Carrier- A ship that launches non-traditional weapons in the form of drone squadrons. These Squadrons will swarm a target for x amount of turns. These swarms are in a sense more tactical, as they can not only be used for offense but also defensive and regenerative properties. Freighter- Non-offensive cargo ship. These hulls are very economy-oriented, usable best if you wish to stock up on resources for a build or Equipment you need. Capitalship- A ship significantly more powerful, heavier and challenging to take down than a Battlecruiser and Battleship combined. It combines the support from Operats, the firepower of a Battleship, the durability of a Battlecruiser; all classes are usually mashed into one when these ships are designed.While there will be no limit in what ships you can have in your fleet, including multiple Capitalships and even Carriers if desired, the catch is only one of each possible Capitalship is possible to own. You cannot manufacture 3 of one, but it is possible to collect all existing Capitalship and put them in one fleet. Their major flaw is their attack speed and accuracy- take advantage of that and you will have better chances against them. Thrusters- Converts TP passively to give an innate evasion bonus to the ship. Also sometimes provides Maneuver skills, some may increase chances of evasion to numbers upwards of 60% after the passive is accounted for. Weapons can be primarily firing of one damage type but fire another. This allows, for example, if you have a Projectile weapon that gives the ability to fire either AP rounds or HE rounds, the AP rounds will only deal damage doing Projectile damage, and while being an effective universal firing mode, HE rounds will deal much more damage to unarmored targets, while doing little against anything other than lightly armored targets. On top of this, they deal Explosive AND Projectile damage.